The abundance of advice and skin care tips available today can be overwhelming. Without knowing where to start, you may find yourself in a rut, sticking to what you’ve always done. While seeing a good skin care professional is the best way to figure out what you are doing right and what you should change, these few basic tips apply to everyone and are easy to implement! Especially in Las Vegas, where we have nearly year-round sunny skies, you just can’t excuse poor sun protection. And just because you work indoors most of the time doesn’t mean you don’t need sunscreen. UV rays travel past glass windows in homes, offices and cars and they can inflict sun damage on the skin. So, don’t risk it, slather on a sunscreen with a broad-spectrum of at least SPF 15, 365 days a year, every day of the week. Getting enough solid sleep is good advice for improving overall health, but can be a big challenge in our busy lives. Do what you can to create a dark, quiet, distraction-free sleeping space, and give yourself permission to get the recommended 7 to 9 hours of sleep per night. Your skin needs this time to repair itself from the day’s damage. If you sleep on your side or on your tummy, your face is pressed across the pillow and hours of lying in one position can cause your skin to crease and fold. Try sleeping on your back with the softest, highest-thread count fabric. The drying effects of wind, cold, sun and lifestyle habits such as smoking and drinking may deplete the skin of moisture, resulting in dry, dull and sallow skin. Plump the skin up with moisturizers that contain antioxidants, peptides, ceramides and collagen boosters such as vitamin C.
Stress may not be visible to the eye, but its effects are often felt and seen. It may incite acne flare-ups, aggravate psoriasis and rosacea. 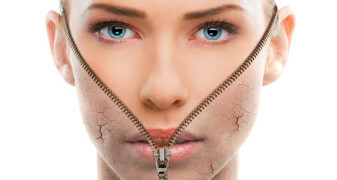 Effective stress management will result in better, healthier looking skin. So don’t forget to schedule some down time to relax and unwind to get stress under control. Taking care of yourself should be a necessity, not a luxury! Put these skin care tips to practice and experience better skin. If you need professional help on skin care, contact us. We use advanced techniques and carefully designed science to put your skin in the best of health.